C.F. 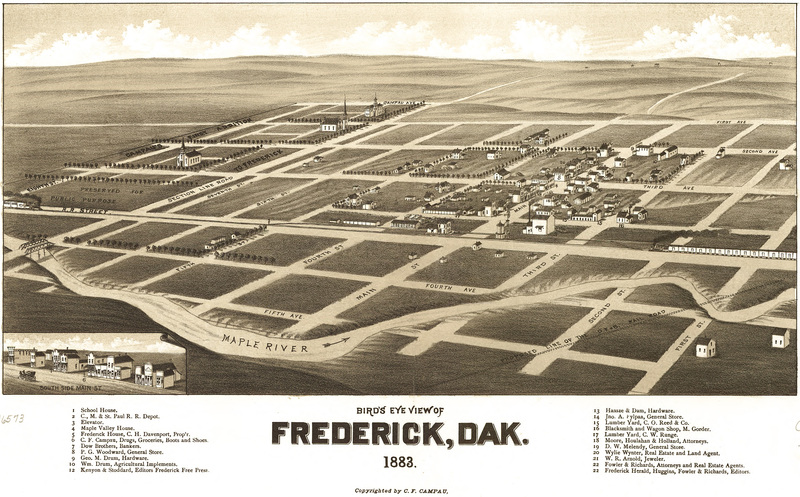 Campau's birdseye map of Frederick, Dakota Territory in 1883. Some may say that Frederick, South Dakota [gmap] jumped the gun and commissioned a birdseye map too soon... but in hindsight, this small town on the Chi., Milw., St. Paul and Pac. R.R. even today has less than 200 people. One thing's for sure: this was C.F. Campau's easiest day of work, ever. I really admire the moxie of a town who pulls the trigger that early. It speaks to the necessity – tied-in so well with all aspects of the American experience – of projecting at all times a plausible air of confidence and ambition. I bet I'd like the people in Frederick. For years I've been planning a trip to visit the KVLY-TV mast [gmap]. Maybe while I'm up there, I'll stop by Frederick and bring them a map. 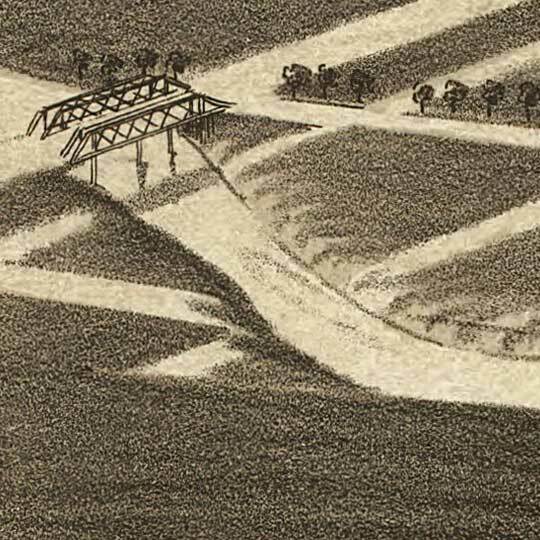 For more maps and images from this period in the region's history, visit the South Dakota State Historical Society.